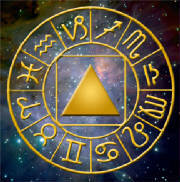 The use of Tarot as an oracle is well known. Few people are aware that divination is considered a secondary use of the cards. The primary purpose of the Tarot is to serve as a book of wisdom. The Tarot can be read like a book. The wisdom it teaches was preserved at the cost of many lives by those who secretly resisted centuries of oppression and the attempted mind-control of the medieval Church. The Tarot's teachings about the nature of the spiritual path, the path to freedom, self-empowerment and happiness, are as relevant today as they were centuries ago. Michael offers his seminar, Wisdom Of Tarot, at Bellevue Community College in Bellevue, WA and through the Langley Mystery School on Whidbey Island. Private seminars are available at our Whidbey Island meeting rooms or in your home for a minimum of two students. Cost is $240 per student plus travel expenses if not on Whidbey Island. The Tarot is a map of the human experience. In this class you will learn to read the map. Learn to see where you are, where your friends are and where your choices will lead you. Best of all, the Tarot reveals the path to happiness, exposes the obstacles on the path and shows you how to overcome them. The Tarot is a pictorial book of self-empowerment teachings, showing the path of liberation and the technique of achieving the alchemical marriage, the balancing of inner masculine and feminine energies. The Tarot takes us from a belief in victimhood to the knowledge of our spiritual power and our ability to use that power to change our lives for the better.The major suit describes the seven ways we get stuck in life and how to free ourselves. The minor suits describe the causes and stages of codependent, addictive and compulsive behaviors and relationships --- and how to release them. Understanding how each card fits into the story of this comprehensive picture-book of life helps you remember the meanings of the individual cards when doing readings. Learn traditional methods of Tarot reading. Explore the intriguing imagery of the Tarot together with like-minded souls.